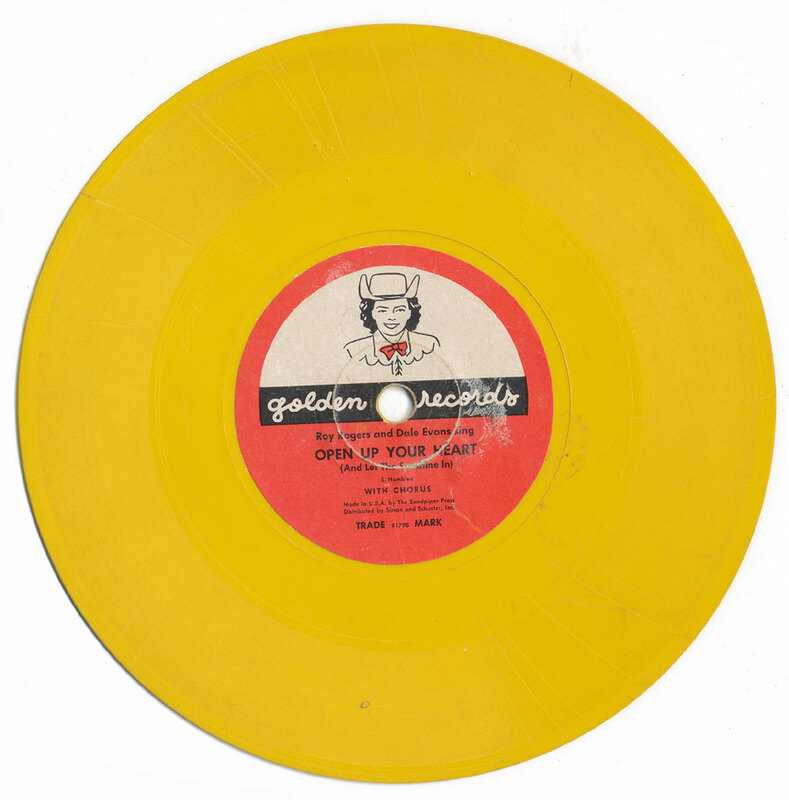 Two records, a little smaller than a standard 45 RPM. They might have been for one of those children's record players that are so collectible now. EDIT: reader Danzel informs me that they are 78s. First one is "Frosty The Snow Man (Parts I and II) from 1951. The second is "Open Up Your Heart / THe Lord is Counting On You" by Roy Rogers and Dale Evans, no date. 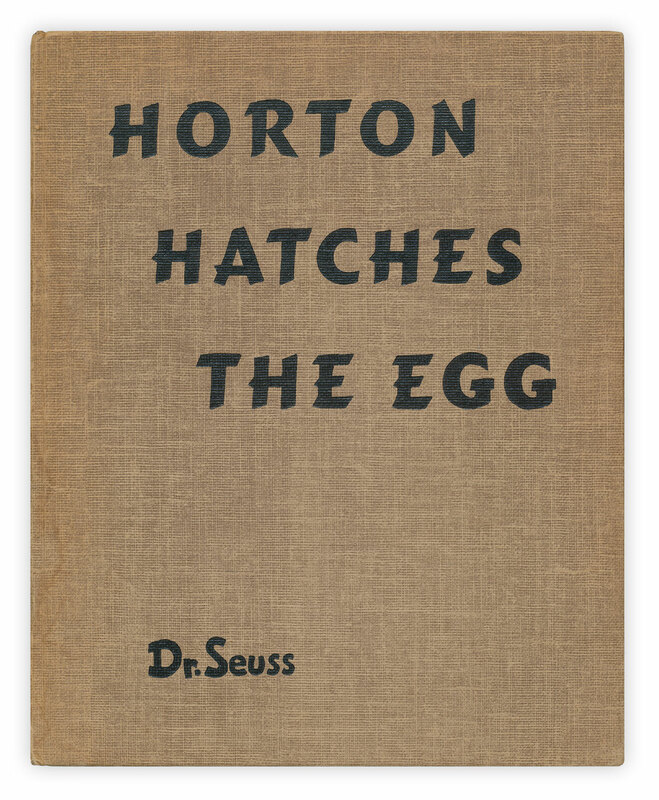 Found in "Horton Hatches the Egg" by Dr. Seuss. Published by Random House, 1940 (although it could be a later printing - Seuss copyrights are notoriously tough to pin down). 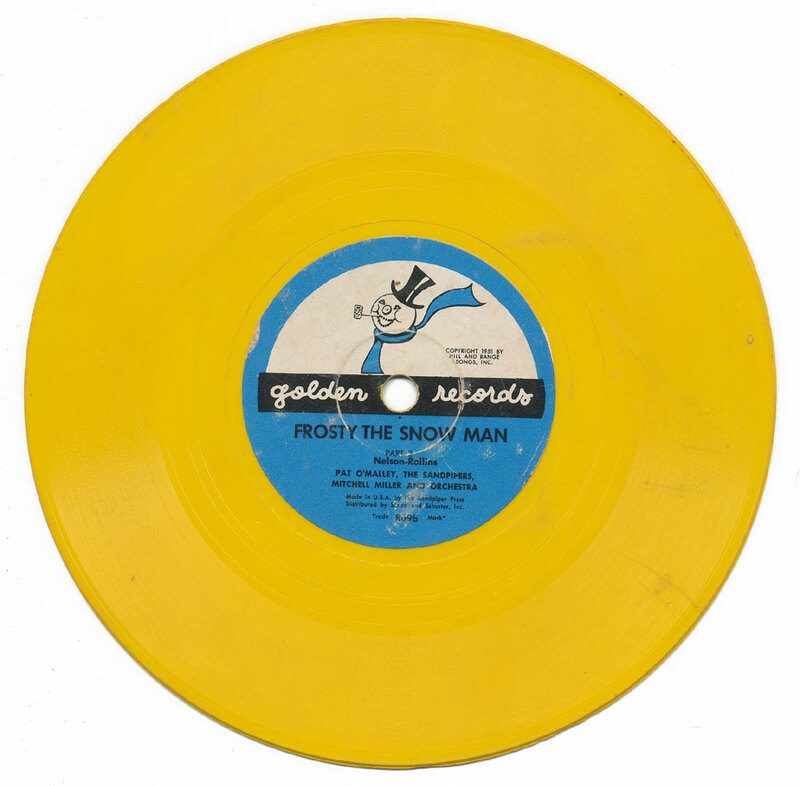 They are Little Golden Records, 78 rpm. Oh my goodness! Somewhere I have a couple of those! Wow! How long has it been???? They belonged to my older cousin, and I inherited them.